AudioSolutions - Benvenuti su cinemaesound! Only the best SEAS and SB Acoustics drivers are used. Crossover network is engineered in a true "audiophile" spirit: using jantzen capacitors and precision MOX resistors, all components are soldered point-to-point, no PCB is used. Additionally, each and every speaker in the Rhapsody line reclines back to eliminate time-domain distortions. Rhapsody series is undoubtedly High-End class: years of experience are combined with only the best components to achieve this status. 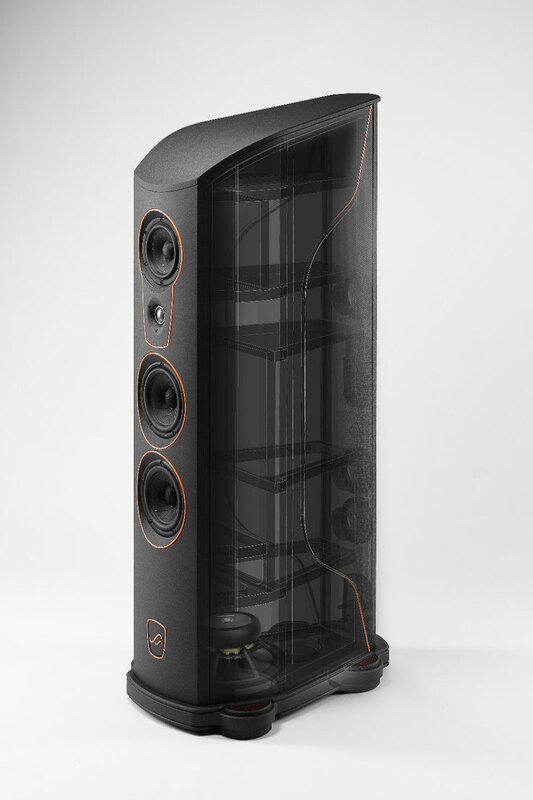 The cabinet of a Rhapsody series speaker is a true engineering masterpiece: multi-layered, varying thickness HDF and plywood sandwich construction is formed into a rounded shape under intense pressure. Rhapsody speaker reminds an aeroplane's wing internally: distinctive form and bracing makes this construction unbelievably strudy and resonance-free.